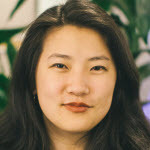 Crystal Yan is a product and experience design leader focused on empowering high impact organizations to be more customer-centric with human-centered design. Currently, she advises clients in the technology, healthcare, education, and nonprofit sectors as an independent consultant and is a Product Manager and UX Designer with the United States Digital Service, a startup within the federal government using design and technology to deliver better government services to the American people. At the USDS, her work focuses on using human-centered design to deliver better policy for healthcare providers and better services for asylum seekers. Previously, Crystal led the user experience research and design for Real Talk, a storytelling-driven health education app co-designed with low-income teenagers in the rural South, and led the user experience team at FiscalNote, an enterprise software startup transforming how organizations interact with governments worldwide. Crystal has worked in the US, India, China, and Cambodia and spoken at technology and design conferences across the US, Mexico, Chile, China, India, Ireland, Germany, Norway, and the UK.